This grunge steadfast theme perfectly renders the fighting spirit. Stone texture in the background and athletes ready for the combat in slider gallery make the layout extremely magnetic. Visitors can shop by brand, by category and use the footer links. 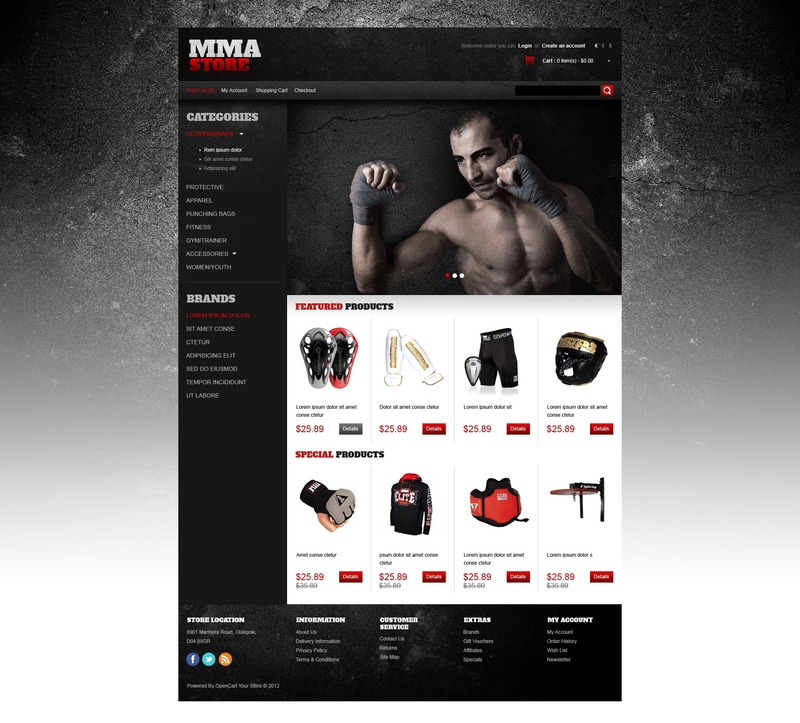 Content area includes Featured and Special product sections.